It is difficult not to start this monthly report without referring to the never-ending Russian doping investigation that is shaking the sporting world. On 18 July, the independent investigation on Sochi 2014 winter Olympics led by Prof. McLaren, a Canadian law professor, and requested by the World Anti-Doping Agency (“WADA”), released its report. It confirmed evidence of widespread, State-sponsored doping in Russian sports and called for a full ban on the country from the next Rio Olympics. In response to the report, the International Olympic Committee (“IOC”) vowed to take the “toughest sanctions available”. However, and despite the race against time in the run-up to Rio 2016, the IOC delayed its decision for several days amid a WADA statement and several press articles calling for a ban of Russia from Rio Olympics. Meanwhile, it did open an investigation against Russia’s sports minister, Vitaly Mutko, the head official who allegedly supervised the overall doping cover up and explored all possible legal actions against Russia. On 21 July, the Court of Arbitration for Sport (“CAS”) rejected the appeal of the Russian Olympic Committee and 68 Russian athletes against the International Association of Athletics Federations (“IAAF”) decisions to suspend All Russia Athletics Federation (ARAF) from IAAF membership given the evidence of a state-sponsored doping system. As a consequence, Russian track and field athletes were also banned from Rio 2016 Olympics. With the IAAF welcoming this decision, one could think that nothing was standing in the way of a full Olympic ban for all Russian athletes. While some Russian athletes announced that they would appeal the CAS award to the Swiss Federal Court. Yelena Isinbayeva, the banned pole vault champion, even took it a step further by claiming that she would challenge the IAAF decision as far as the European Court of Human Rights. Yet, it is very improbable that any of these challenges be decided in time for the Rio Games. On 24 July, the IOC Executive Board finally handed out its decision on the question of the participation of Russian athletes to the Rio Olympics. The decision left no one satisfied, least of all WADA. In a nutshell, the IOC passed the buck to international federations by deciding that the evidence uncovered by the report is not sufficient to adopt a general ban of the Russian Olympic Committee. Instead, it is for every international sports federation to judge on a case-by-case fashion whether a Russian athlete is eligible to be qualified for the Olympics. Sports governing bodies have to decide following two criteria, namely whether the athlete was previously controlled by laboratories situated outside of Russia and whether he/she was never convicted of anti-doping breach in his/her career. The International swimming federation (“FINA”), for example, decided to ban seven swimmers, some of them have already announced their intention to appeal before CAS. And this is just the beginning. The IOC decision not to decide has been highly criticized (see for example here and here), but it is probably the IOC Olympic ban on Yulia Stepanova, the Russian whistle-blower through whom the scandal emerged, that was criticized the most. A global online petition was set up to draw attention to her case and athletes from around the world launched a crowdfunding appeal. For more information on this sprawling case you can read our blog. The next very salient sports law issue of the month is the ongoing challenges against CAS awards and their enforcement in Germany. Early July, Claudia Pechstein announced that she would be challenging BGH ruling in front of the German constitutional Court around two main arguments, namely, the access to justice and the freedom to exercise her profession. On 7 June the highest German civil court ruled that CAS was sufficiently independent and that an arbitration agreement in favour of CAS was legal under German civil and competition law (see our blog). CAS swiftly published an English version of the judgment (though we are still waiting for the official translation of the previous OLG München decision) that you can find here. Another important case, but this time concerning the application of EU free movement law in the framework of the enforcement of a CAS award, is the BGH ruling in the SV Wilhemshaven case. The BGH announced early July that it would release its judgment on 27 September. As a quick reminder, this case is concerning an Argentinian-Italian football player transferred to a German club. 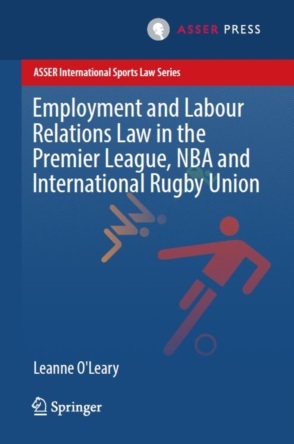 The latter is refusing to pay training compensations imposed by the FIFA Regulations for the Status and Transfer of Players and challenged the enforceability of the CAS award in this case (see our blog). The other big sports law story of this month was the long awaited European Commission decisions on State aid granted in favour of Spanish professional football clubs. The Commission decided that public support measures granted by Spain to seven football clubs gave those clubs an unfair advantage leading to distorted competition and, as a consequence, the amounts at stake have to be recovered (i.e. : for example, Real Madrid - €18.4 million and FC Valencia - €20.4 million). For a full commentary on the “Spanish recovery decisions” see our blog. On the exact same day, the European Commission also cleared municipal support measures for five professional football clubs in the Netherlands (FC Den Bosch, MVV Maastricht, NEC Nijmegen, PSV Eindhoven, and Willem II in Tilburg). In the case of PSV, the Commission determined that the municipality’s purchase of the land on which the PSV stadium stands, and the subsequent lease-back agreement, was in line with the so-called “Market Economy Investor Principle”. The measure, therefore, did not constitute State aid. The remaining Dutch football clubs did receive State aid, according to the Commission. However, these measures were granted in accordance with the Community Guidelines on State aid for rescue and restructuring firms in difficulty, and were consequently regarded as compatible State aid. Notwithstanding these eight State aid decisions, it also became apparent that the Commission does not foresee other State aid investigations on EU football clubs at this point. 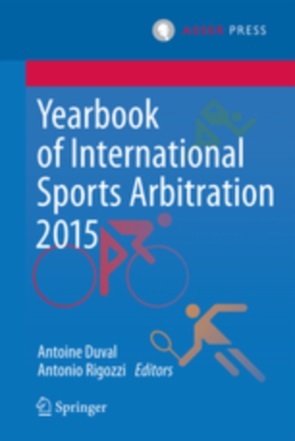 The Court of Arbitration for Sport (“CAS”) released two decisions on Rio 2016 selections. The first one concerns Australian trap shooter Mitchell Iles (CAS A1/2016) challenging the Australian men’s trap shooting selection for Rio 2016 and, ultimately, his non-selection. The arbitrator has found that the Appeals Tribunal of Shooting Australia rejecting the athlete’s appeal had erred in a question of law. CAS upheld the appeal, set aside the decision taken by the Appeals Tribunal of Shooting Australia, and referred the case of Mitchell Iles back to Shooting Australia. In the second case CAS has upheld a request for provisional measures filed by Korean swimmer Tae Hwan Park. The swimmer was sanctioned by FINA for an anti-doping breach (sanction that ended on 2 March), but was prevented from participating in Rio 2016 by Korean Sport and Olympic Committee regulations imposing a three-year ban from national teams after the completion of a doping sanction. CAS ruled that Tae Hwan Park is eligible for selection for the Korean national team for Rio 2016. CAS also delivered its award concerning Norwegian cross country skier Martin Johnsrud (CAS 2015/A/4233). The International Ski Federation’s (“FIS”) Doping panel did not sanction the skier after two in-competition doping controls that revealed levels exceeding the applicable limits for salbutamol. The WADA referred the case to CAS. The arbitrators found that use of a substance beyond the applicable limit without a Therapeutic Use Exemption was a breach of anti-doping rules. They sanctioned the skier with a two-month period of ineligibility and disqualification for the competitions concerned as there were medical justifications in that case. Olivier Dickson Jefford – Marco Cecchinato banned for 18 months for "Illegal Behaviour"
Jeremy Whiteson, Football Creditors Rule: Is The Football League’s new insolvency policy a step in the right direction?